When Bob Hickerson and Maria Andreu first saw lionfish appear off of the coast of their native Florida, they knew they had to do something. They tried removing lionfish with traditional pole spears, but soon decided a new tool was necessary to quickly and effectively remove the invasive predator. Bob and Maria got some materials, tested prototypes in the pool, and the Frapper was born. A small, compact spear, the Frapper is the first lionfish-specific spear gun. It requires the hunter to get very close to his or her fish, meaning it can't be used on native fish species that have a healthy fear of divers. Since lionfish have no natural predators in their invaded region, divers can get extremely close. Since designing the Frapper, Bob and Maria have traveled across the Florida and throughout the Caribbean spreading awareness about the lionfish problem. Learn more about Bob and Maria's work and buy a Frapper of your own on their website. 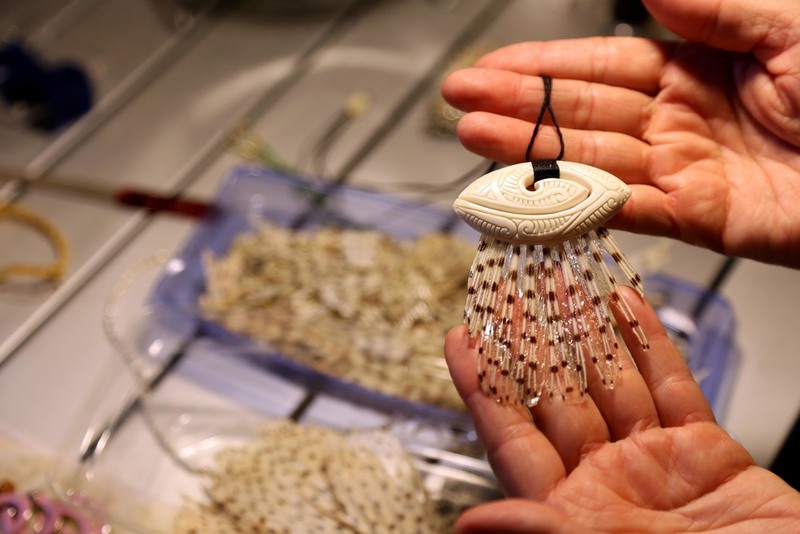 Maria has taken her lionfish awareness work a step further by preserving lionfish fins and spines to make jewelry. 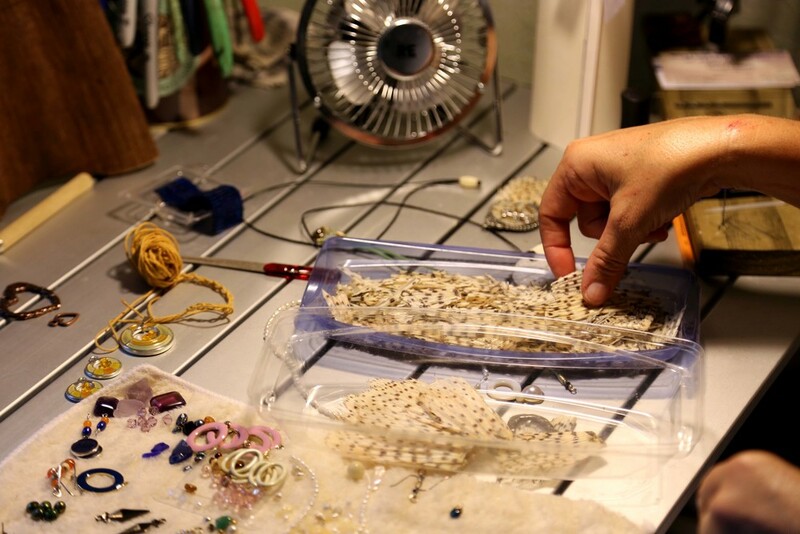 Here, she shows me her work space where she designs her pieces.